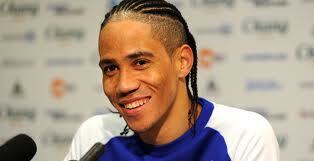 Everton has completed the signing of Steven Pienaar from Tottenham on a four-year contract.Pienaar moved to Everton in July 2007 on loan from Bundesliga giant Borussia Dortmund before signing on a permanent basis the following year. He moved to Spurs in Jan. 2011 but failed to establish himself under Harry Redknapp and subsequently rejoined the Toffees. "I am happy to be here. It took a few weeks to sort out but I am delighted to be back and excited to play for Everton," he told evertontv. "There was no doubt in my mind that I would be back here. At the end of the season I told the manager how I felt and I am happy now it is all done." Everton boss David Moyes had revealed earlier in the summer that his main target for the summer was to complete a deal for Pienaar. The Toffees kick off their Premier League campaign with a tricky home fixture against last season’s runner-up Manchester United. Clint Dempsey is out of Fulham’s preseason training camp in Switzerland as he eyes a move to Liverpool. Dempsey was not on the plane that left London on Monday morning to take part in the week-long trip, leading to further speculation that a transfer to the Reds may be in the works. 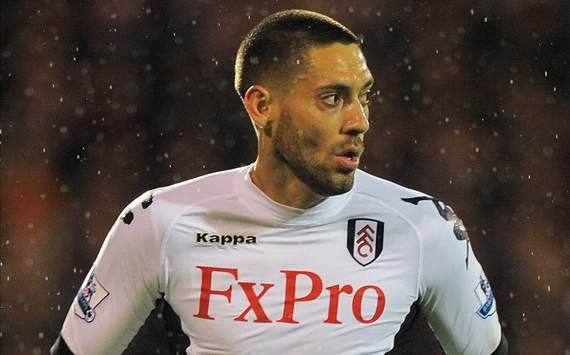 It was initially unclear if it was Dempsey's decision or coach Martin Jol's to keep the American off the trip, but a Fulham spokesperson confirmed that Dempsey stayed behind to work on his fitness. "Clint and Hugo Rodallega are both staying in London to work on their fitness at the training ground. Neither are scheduled to feature in the weekend friendly against Nice which is the reason neither have traveled," a Fulham spokesperson told Goal.com. Fulham will spend the week in Switzerland ahead of a friendly in neighboring France against Nice on Saturday before returning to the UK. The 29-year-old has made it clear to Jol and senior Fulham figures that he wants to quit the club for Liverpool, whose manager Brendan Rodgers has admitted that he has made enquiries about signing the player. As revealed by Goal.com earlier this month, the attacking midfielder, who scored 17 Premier League goals last season and 23 in all competitions, has rejected Fulham’s offer of a new three year-contract that includes an option for a fourth year. Dempsey, who moved to west London five-and-a-half years ago, believes that Liverpool’s interest could be the last opportunity he gets to play for one of the elite Premier League clubs. Nevertheless, he has vowed to remain professional while his future remains in doubt and trained with Fulham’s youth team at its Motspur Park base on Monday morning. Arsenal legend Thierry Henry hopes Robin Van Persie stays at the club but believes the Gunners are more than capable of coping if the forward departs. Van Persie, 28, has been heavily linked with a move away after revealing a desire to leave the club earlier in the summer, with Manchester United, Manchester City and Serie A giant Juventus all interested in a move for the Dutchman. Gunners boss Arsene Wenger remains hopeful of holding on to his star striker but Henry is unsure whether the player will remain at the club. "We hope he stays and that's the way it is," the Frenchman told Sky Sports News. "I don't know exactly what is happening but as an Arsenal fan I want him to stay. "He is still an Arsenal player and the boss has to deal with it. I just want Arsenal to do well. Robin will do what he will do and we'll see. "When I left, everybody cried, but then the year after they went on a run of being eight points ahead. Everyone comes and goes." Van Persie has less than a year remaining on his existing contract with the Gunners and has insisted he does not intend to extend his deal beyond the end of the current season. 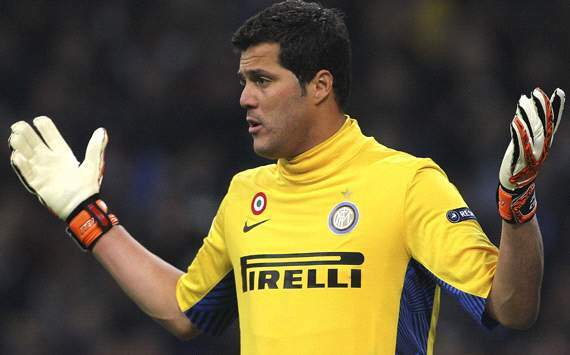 Inter Milan goalkeeper Julio Cesar has intimated that the quotes attributed to him in which he said he was on his way out of the club were fabricated. The Brazil international has been continuously linked with a move away from Inter since the Nerazzurri signed Samir Handanovic from Udinese in an 11 million euro deal earlier in the month.